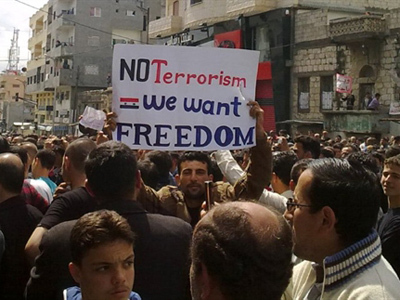 Thousands of anti-government protesters took to the streets across Syria after Friday prayers. Several people were reportedly killed after security forces opened fire, despite the government's vow not to shoot at demonstrators. 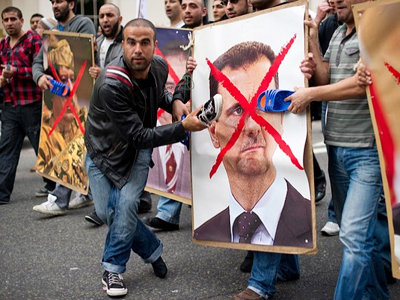 International pressure is mounting on the Syrian authorities over the brutal crackdown. Syrian security officers have carried out raids across the country, and reports suggest some 12,000 people have been detained – all while Damascus has promised that government troops will refrain from violence. Activists on the ground put the death toll from the two-month-long uprising at 800. 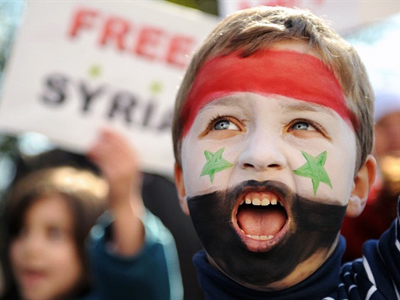 The international community has strongly criticized the Syrian government for the brutal crackdown. 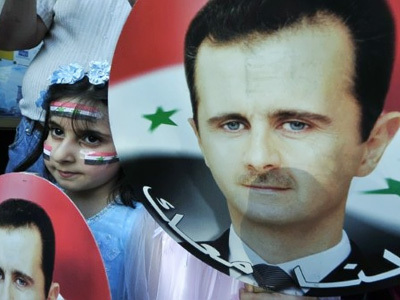 Washington is even preparing to decide whether Assad's rule is lawful. Many believe this could be the first step by the US toward more drastic action against the Syrian regime. Who is a legitimate international leader and who is not? It seems that America will decide. A White House source said the Obama administration is edging closer to declaring Assad’s rule in Syria illegitimate, and that would be just the start. “We will continue to work with our international partners in the EU and elsewhere on additional steps to hold Syria responsible for its gross human rights abuses,” said Secretary of State Hillary Clinton. “The United States is helping to lead an international effort to deter further violence, put in place unprecedented sanctions to hold the Gaddafi government accountable,” said President Barack Obama. When the US says it is going to hold someone responsible – expect action. 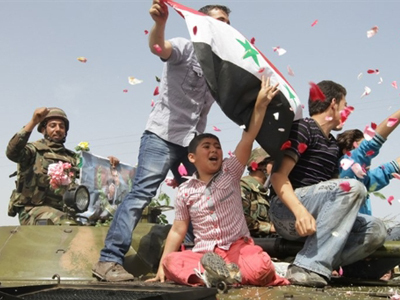 “Once the US has officially declared the Syrian government illegitimate it would open the door to various steps taken to remove that government,” says Mark Crispin Miller, professor of media studies at New York University. But the self-proclaimed position of the US as the world’s policeman and judge of which government is legitimate or not, does not sit well with everyone. “There is an amount of hubris, arrogance if you want, for the American president to decide whether a government is legitimate or not. Where do the Americans get off deciding that?” said author and journalist Barry Lando. Even some of the US’ long-time allies, like the Yemeni president, seem to be intimidated by the zest of the White House to act as the arbiter of who holds power in the world. “Are you president of the United States, or president of the world?" questioned Yemeni leader Ali Saleh. When condemning government atrocities in different countries in the Middle East and North Africa, the US claims the higher moral ground – declaring human rights as the basis for its involvement. But the critic says this is a smokescreen for the real reason for interference. “There is no such thing [morality] in the DNA of US foreign policy. It is all power and economics. Morality? How could they speak of such a thing in the Middle East when they fully support Saudi Arabia,” says author William Blum. 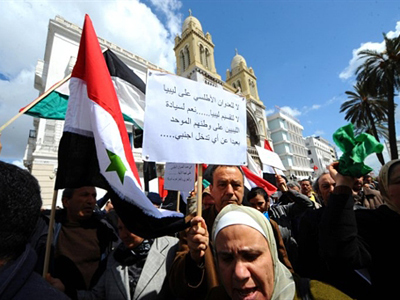 America’s self-proclaimed humanitarian involvement has led it to take sides in the Libyan civil war. The US has pledged extensive support for the rebels. Their senior political figure, representing the Libyan Transitional National Council, Mahmoud Jibril, has lived and studied in the US for years. He is back now in Washington asking for money from Gaddafi’s frozen assets. “I’m currently drafting legislation at request of the State Department in the administration, that will authorize the transfer of available cash assets to the council, so that they will have available money. It will not come from the American tax payers, it will come from Colonel Gaddafi himself,” says US Senator John Kerry. Newly released WikiLeaks cables show that the US had been funneling money to Syria's opposition for several years now. But some say the help comes with strings attached. “Nobody gives away money for nothing, or arms, and the US sees the opportunity of putting in a friendly pro-American or government responsive to American interests,” says Eric Margolis, a columnist, author and war correspondent. The coalition efforts in Libya have reached a dead end, with the country now in military stalemate. In the meantime, civilian casualties there continue to grow. 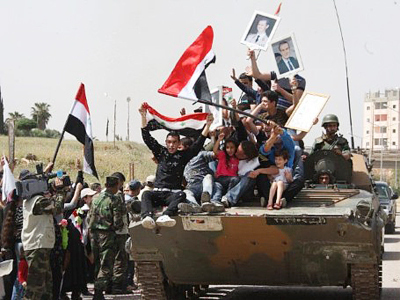 Analysts say foreign involvement in Syria could trigger a much worse conflict. 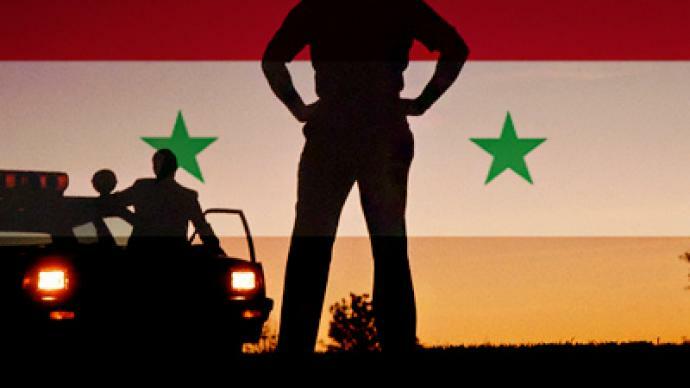 “Syria is in the heart of the Arab world and if it explodes or implodes it will affect all its neighboring countries – Iraq, Saudi Arabia, Jordan, Israel, Lebanon and they all are likely to get involved in a collapsing or a war-turn Syria”, says Margolis. Syria’s partnership with Iran has long been irritating Washington – yet another reason, say some, to go after Assad. “Relying on Iran as your best friend and your only strategic ally is not a viable way forward,” says Hillary Clinton. Critics say the US takes on the role of world policeman not based on its inherent altruism, but rather out of self-interest. The bigger question is whether those interests have made the world safer or have destabilized it even more.